Parallel to his university education and first mandates as a lawyer, and much like other young professionals of his era, Wilfrid quickly joined various associations. During the fall of 1862, he became actively involved in the Institut canadien-français. Among other things, there were debates on the problems associated with the union of Upper and Lower Canada. In 1864, he was elected Vice-president of the Board of Directors of the Institut canadien-français. He was re-elected for two subsequent mandates in 1865 and 1866. Thereafter, he became involved in the Law Institute. In 1864, he joined the Liberals of Lower Canada to denounce the Canadian Confederation project. 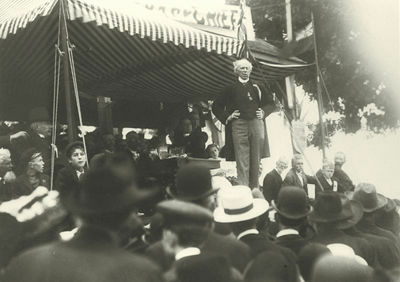 Laurier entered the debates against Confederation with Médéric Lanctôt, a friend closely involved in the newspaper, Union Nationale. 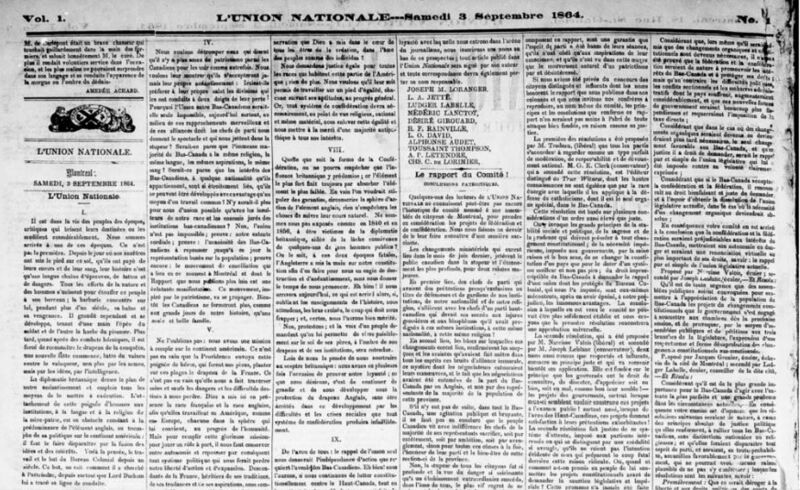 Laurier had the opportunity to publish in the newspaper and criticize the Confederation plan, describing it as a dangerous project with the ultimate goal of assimilating French Canadians. His political involvement changed the day he left Montréal for L’Avenir, but his opinions remained the same. 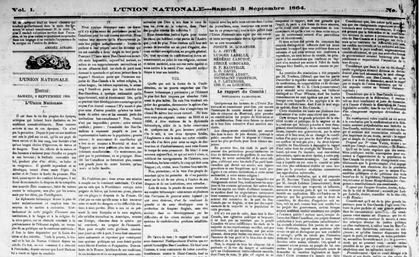 The newspaper, Le Défricheur, allowed him to continue his crusade against the Conservatives and their Confederation project. Already, freedom and political commitment were inseparable from the politician that he was.